Mangoes are here and so is Mango Shake.. Mango shake has become like an integral part of our daily regime.. :) Mangoes are really and truly the King of all Fruits..!! Mango Shake is blended mango and milk with loads of Ice..
1. Peel the mango and chop off the mango pulp. 2. Blend the pulp in a blender till it becomes a smooth paste. 3. 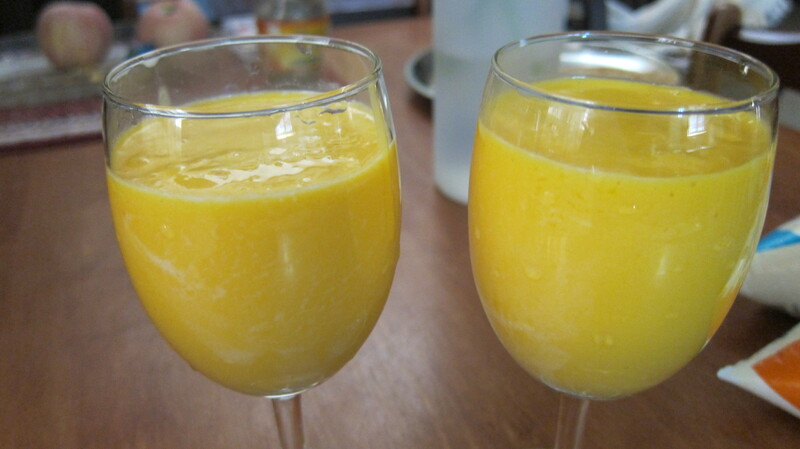 Add the chilled milk and sugar (you can skip sugar if the mango is sweet enough) and blend again until smooth. 4. You can add crushed ice cubes as well while blending. Serve chilled and enjoy at any time of the day.